Want to sample the magic of packrafting? Choose from our range of well-equipped packrafts and accessories for a weekend to weeks. Delivery by mail. Pay per use and try before buy! 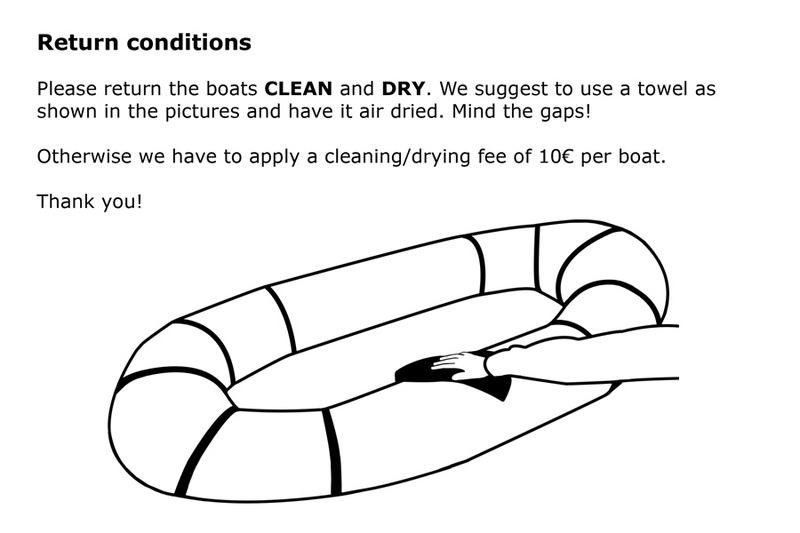 Returning boats need to be clean and dry. Please note our availability (page down) and allow a minimum of 10-14 days ahead to your order. Try a packraft out*. Delivery on Friday, return on Monday. Test a packraft on full 4 days*, e.g. delivery on Wednesday, return on Monday. Use a packraft extensively*. This week has 9 days! Delivery in addition (Fr/Mo). Employ a packraft on up to 16 days*. Time for shipping not included! Have a packraft for (one) big trip*. A whole summer vacation long. Have a packraft for (one or two) big trip*. A whole summer vacation long. Packrafts are too expensive? Considering cost of production certainly not, but if used only once or twice the purchase might not pay off. This also is a chance to try before buy. No risk! 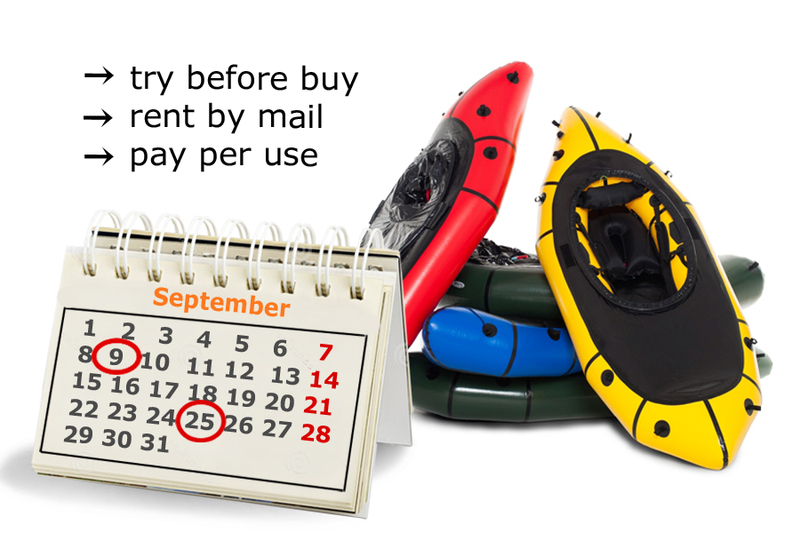 If you buy a packraft (except within the next 12 months after the rental, we will refund the weekend rental fee per boat (except other discounts). You simply order the package over the shop system. Please make a selection on size/model and the planned date. Best to allow a minimum 10-14 days ahead and mind availability. Delivery at home takes place the previous day of the selected period latest. Return the boat the day after the booking period (normally Monday morning). All rentals in Germany inlcude the return shipping. 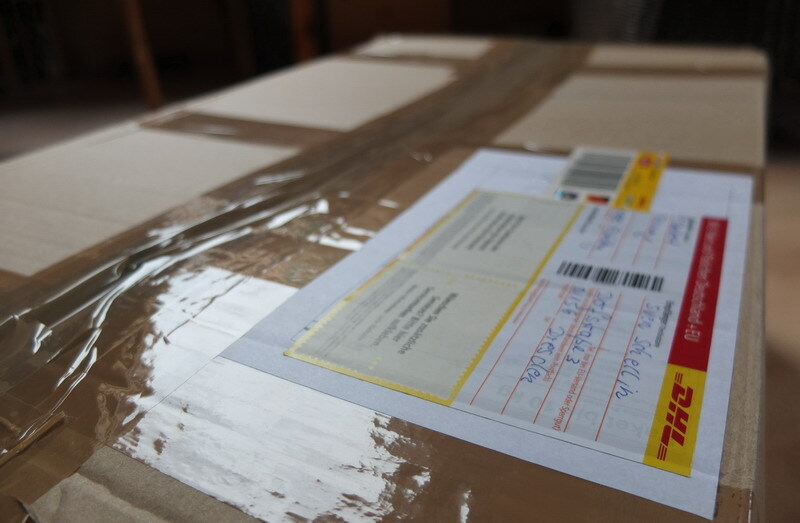 For all other countries the return shipping costs have to be covered by yourself. The selected package is reserved as soon as we receive the order. Delivery is assured with payment reception. Returning the boats need to be clean and dry. *Rental packages must only be used on water that do NOT correspond with European inland waterways and the coastal waters (e.g. large waters navigable by vessels). We refer to our user agreement for rentals. **WW Set: optional white water set (contains drysuit, helmet and white water PFD). For standard rental contents see data under specifications. 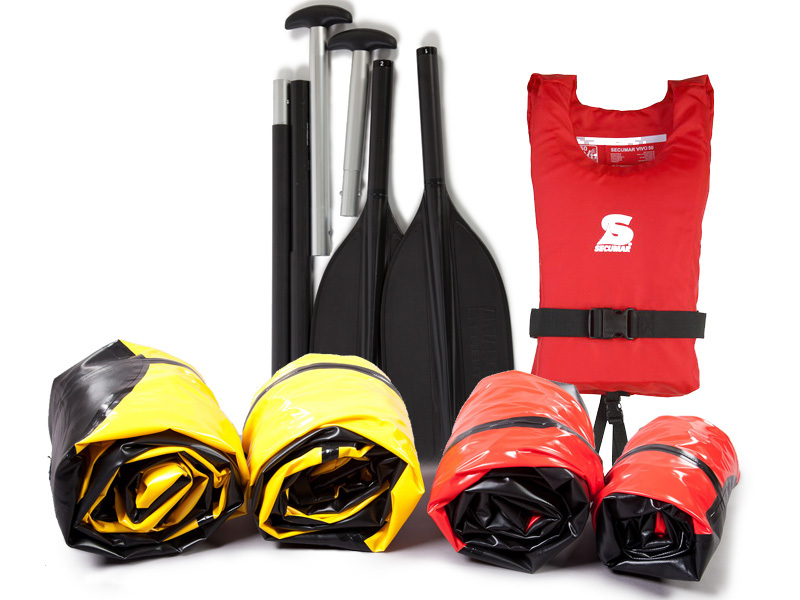 **WW set: Optional white water accessories, contains a drysuit, helmet and white water PFD. Please indicate the size or model you want in a booking selection. Use the sizing chart and product description for selection. Shipping within the European Union is 15 € one way. Return charges need to be covered individually. Please understand that we have to take a copy of your passport (email, fax, mail) for security reasons in a mailing based rental system. Please note, our general terms and conditions contain the following User Agreement that applies for rentals (see tab). Please note that we only have a limited supply of rental equipment. 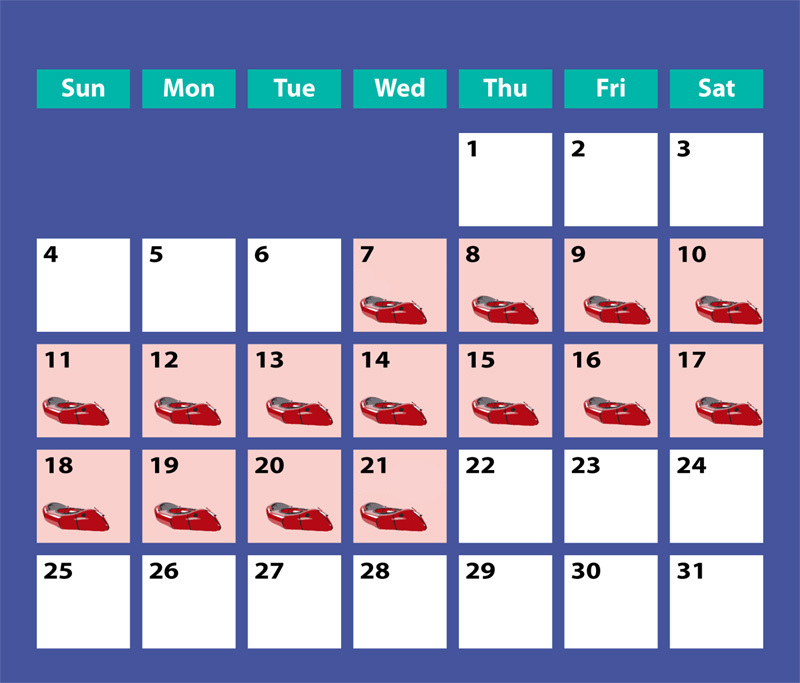 The following models are available according to the calendar view.